As we speak, 170,000+ people from around the world are gathering in San Francisco to attend the world’s largest SaaS conference, Dreamforce ‘17. Among the masses, you’ll find a team of Lucidites, four of whom will be presenting at sessions over the next few days. But preparing for this conference has been a larger team effort here at Lucid. Just in time for Dreamforce, we’re rolling out Lucidchart for sales, a new set of solutions designed to help sales teams drive success by working visually. We’ve been heads down working on this initiative, and we’ve got new templates and resources so you can put these solutions into action. You might be wondering how boxes and lines can impact whether a deal closes. 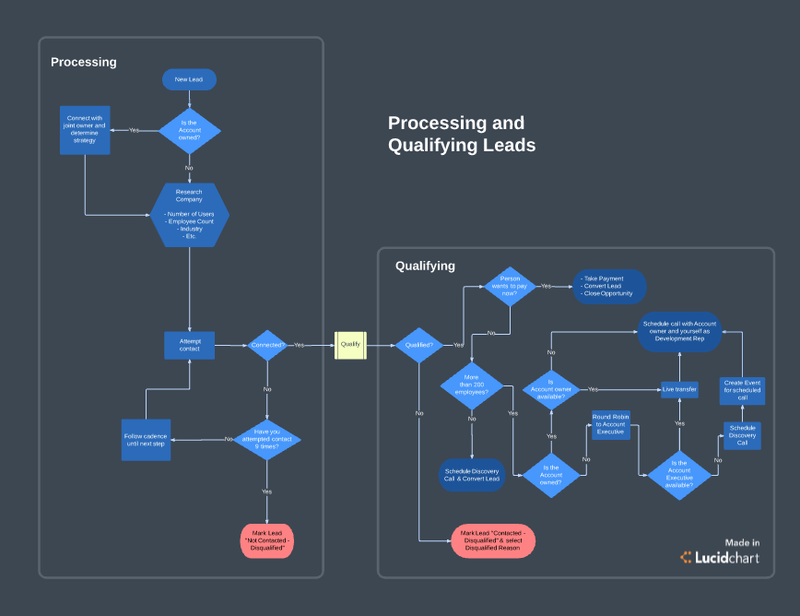 But we’ve talked to users from all walks of the sales life and have seen firsthand that Lucidchart can be the difference by providing clarity at every point of the sales cycle. 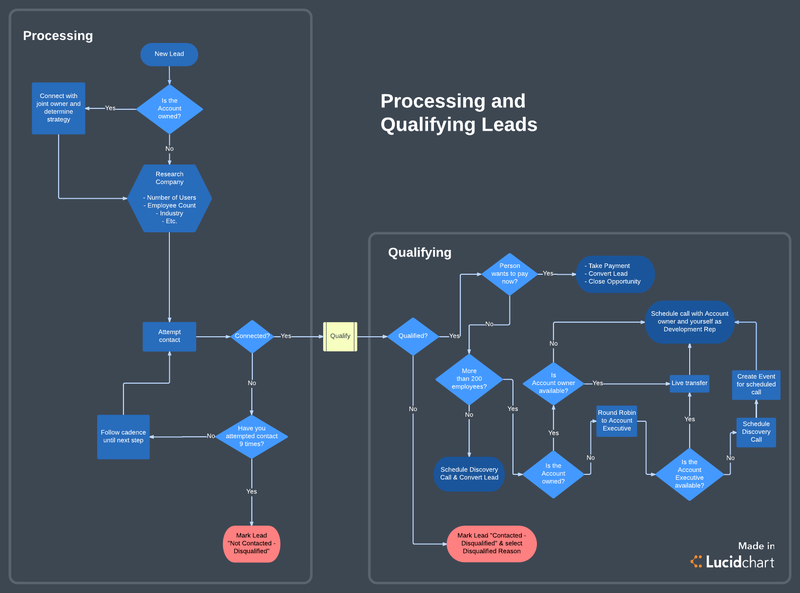 Whether you need to process leads, form proposals, or share an account’s status in order to predict pipeline, visuals simplify the activities that move the needle. 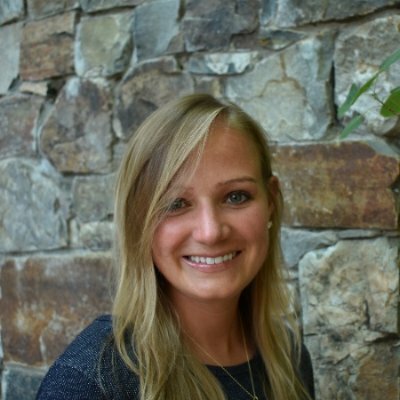 As a sales engineer, you need to clearly communicate the value your product or service provides—deals won’t close if a customer isn’t confident that you can meet their needs. When it comes to proving ROI, it can be much more effective to show rather than tell. Lucidchart allows you to build customized solutions for technical and non-technical audiences that clearly demonstrate what your product offers a specific client. Save time as you build diagrams from existing templates and utilize Lucidchart’s automation features, custom shapes, and custom shape libraries. You can map out these solutions with clients in real time to ensure accurate transfer of technical information, allowing you to get the immediate feedback you need to move on to the next step of the process. Share completed diagrams in the format your customers prefer, using our Microsoft integrations to easily embed diagrams into Word or PowerPoint documents. Dan Marma, sales architect at Okta, describes the impact visuals can make. “Lucidchart diagrams inspire confidence with the customer. Remove that element of confusion, and people feel better about their decision.” Read Dan's full story. 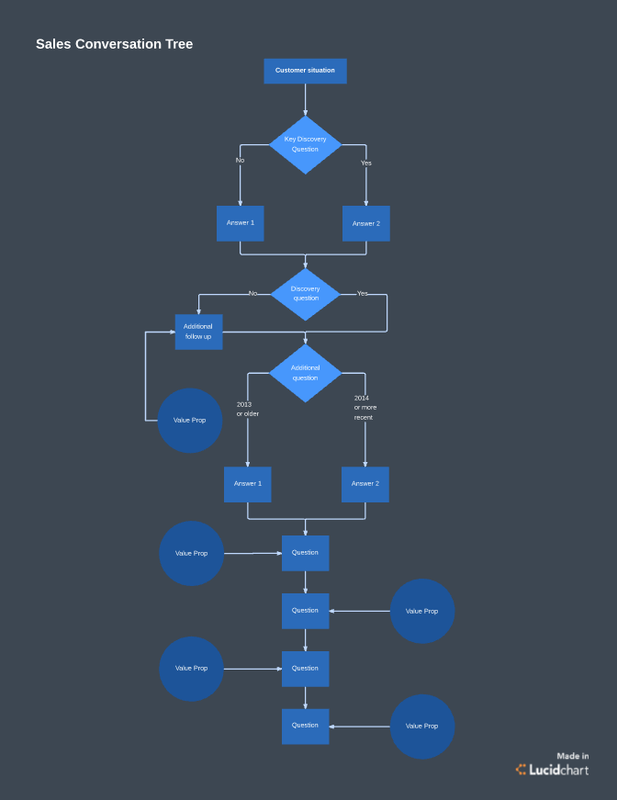 Diagram created by Dan in Lucidchart for a prospective Okta customer. 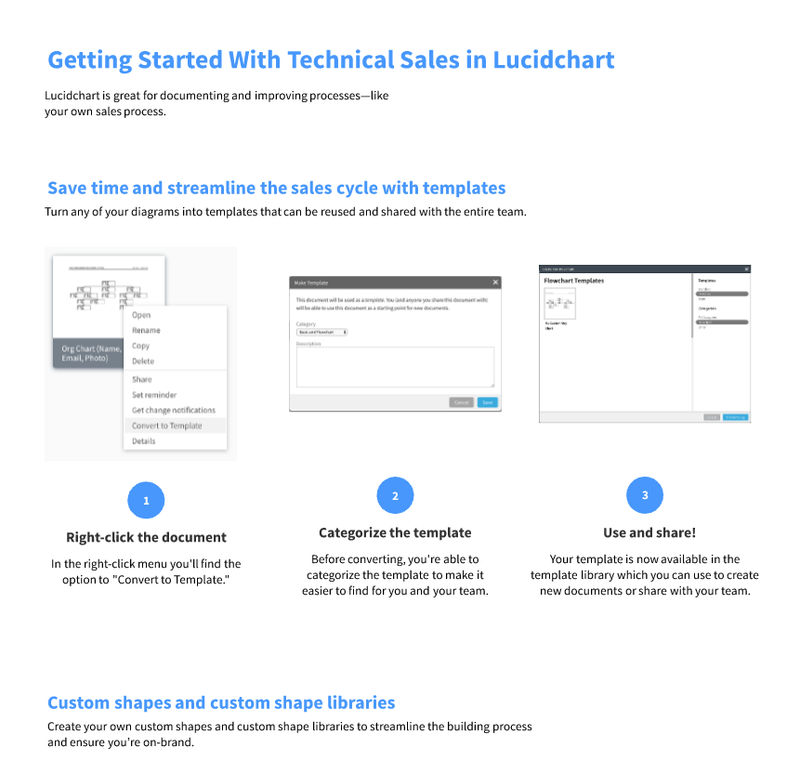 Learn more about Lucidchart for technical sales. Build scalable processes that drive sales. Lucidchart allows you to define how team members, tasks, and software interact throughout the sales cycle. As you map out these internal sales processes, you can more easily identify the bottlenecks and inefficiencies you need to address to streamline your processes. You can also create a more powerful CRM by building ERDs to design CRM structure and databases before implementation. Fine-tuned processes aren’t any good unless the team follows them. 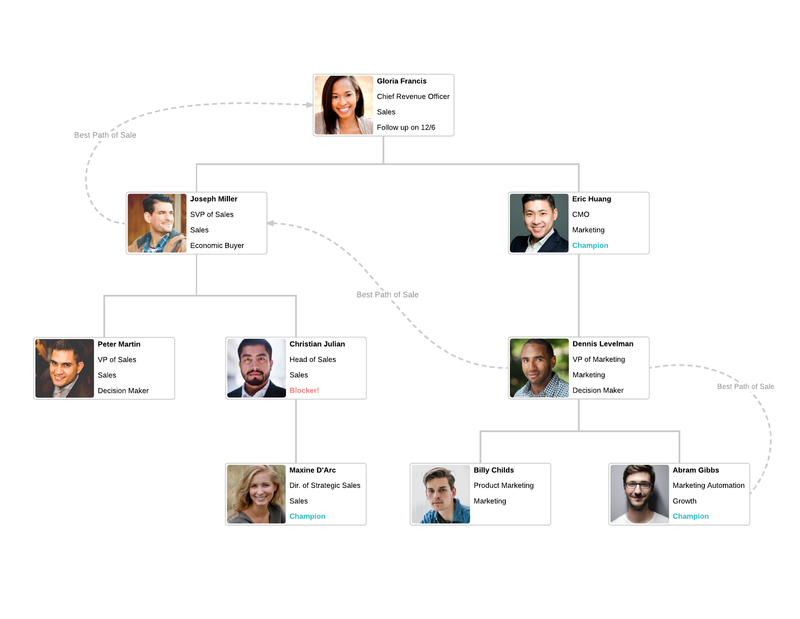 Lucidchart bridges the gap between people and process, allowing you to document and share information such as deal flows, rules of engagement, and conversation trees in an easily digestible format. Onboard new employees and help current employees stay up to date as you provide messaging and training through the tools your team already uses, such as Slack, Confluence, G Suite, and Microsoft Office. 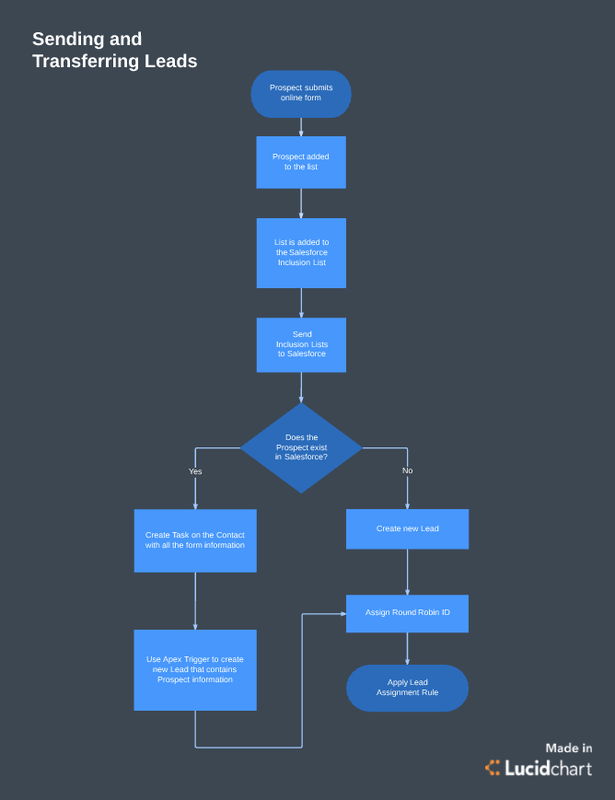 Learn more about Lucidchart for sales operations. Give your teams the resources they need to hit quota. In order to close a deal, you need to understand the political landscape of an organization and know whom to target and how to best reach them. The best path of sale may not always be straight up the corporate ladder, and influence maps can help you clearly identify alternate paths to deal approval. Once your reps identify champions and key decision-makers, they can show their progress in Lucidchart and get the buy-in they need to make a deal close smoothly. With a repository of templates to draw from, reps can easily build these diagrams so they can spend more time reaching customers. Templates can be customized to fit any organization. 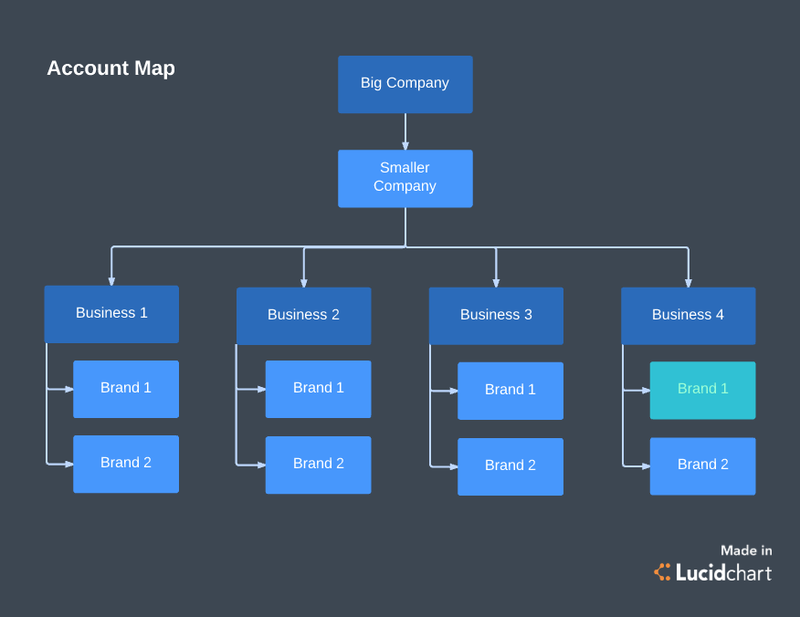 Instead of wading through messy data in CRMs, reps can use Lucidchart to build account maps to visualize the business and where leads fit into the organization. 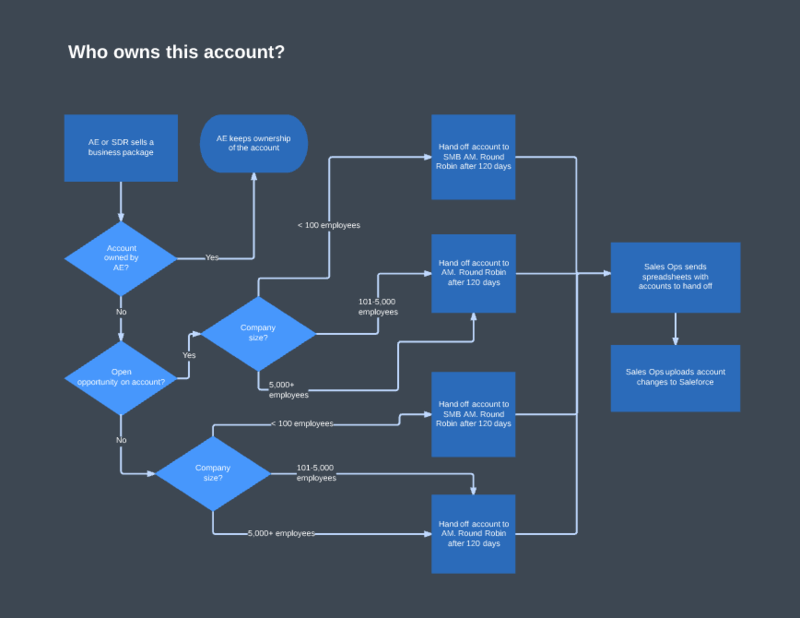 Use visuals to understand the history of an account and its current status, helping you to assess how healthy the pipeline is and pass on accurate numbers for forecasting. Influence and account maps are also valuable tools for coaching reps more effectively. Work through these diagrams in 1:1s to find small improvements that can make a big impact on your final sales numbers. Learn more about Lucidchart for enterprise sales. And this is just the beginning! We’ve got plenty more in the works for sales professionals. So get your whole team working visually in Lucidchart, and stay tuned for exciting updates in the future!